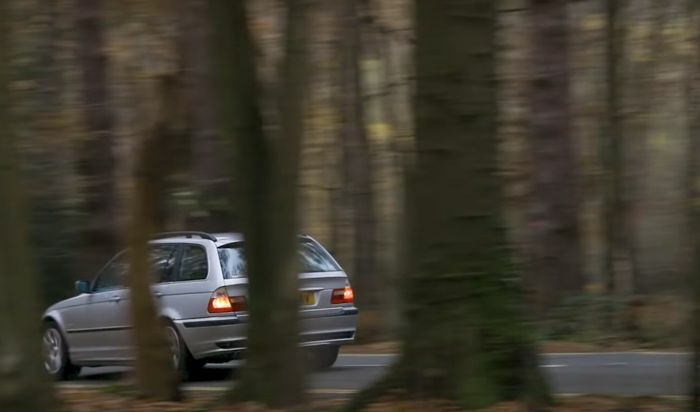 Many of you will know about our E46 330d estate, Gareth. 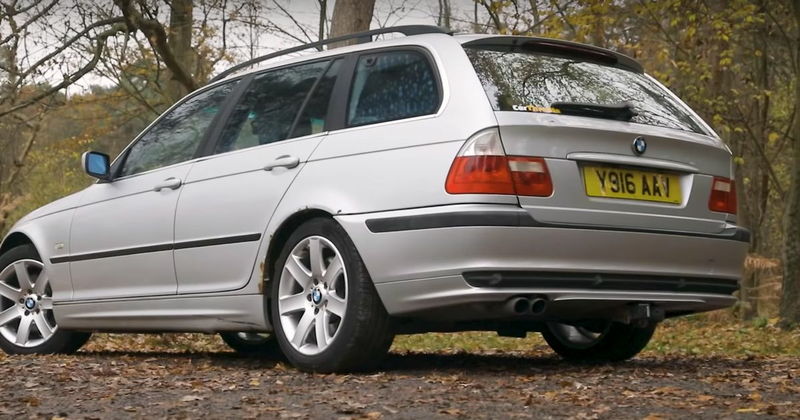 We transformed it from a run-of-the-mill-but-still-badass estate into a tyre-shredding Touring that now laps our test track faster than an E92 M3. Just. 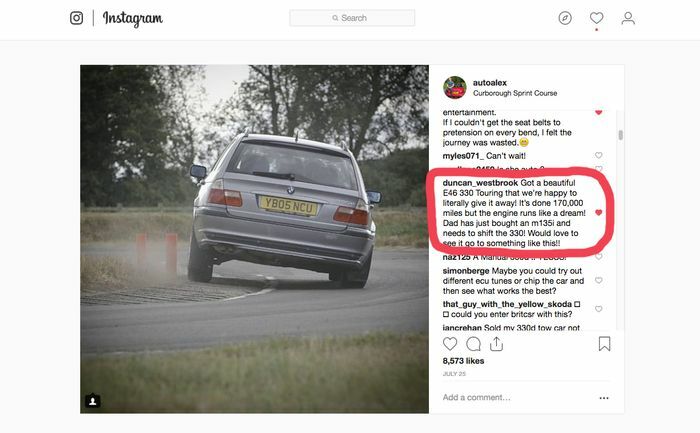 And about half way through the 330d build, I got an Instagram message that read like this…. The message was from a guy whose dad was part-exchanging the family’s trusty and rusty E46 330i Touring for a newish M135i. 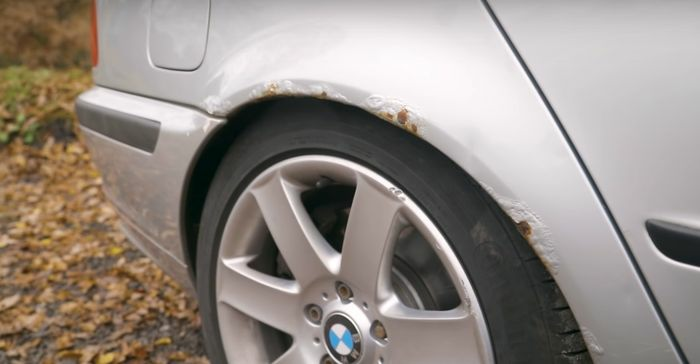 The reason why this is important is because BMW was offering just £140 for this very car, and sure, it had over 170,000 miles on the clock and more rust than even I’m used to, but the 330 had been in the family for over 10 years, and they couldn’t bear for it to get taken away for scrap. So that’s where I came in, and after a quick phone call the deal was done. Like BMW, I offered to pay £140 for the Touring, meaning that this wasn’t only one of the cheapest second-hand BMWs you can buy, but one of the cheapest cars in the country, period. Well, it wouldn’t be my car if there wasn’t at least a bit of rust, but this car has taken the tried and tested E46 rust formula and gone to town. The rear arches, for example, are toast, and the boot lid and chassis are also rusty, so I’ve not been able to bring myself to looking underneath the sills for fear of the damage there. Since owning the E46, I’ve driven over 1500 miles with only minor problems. 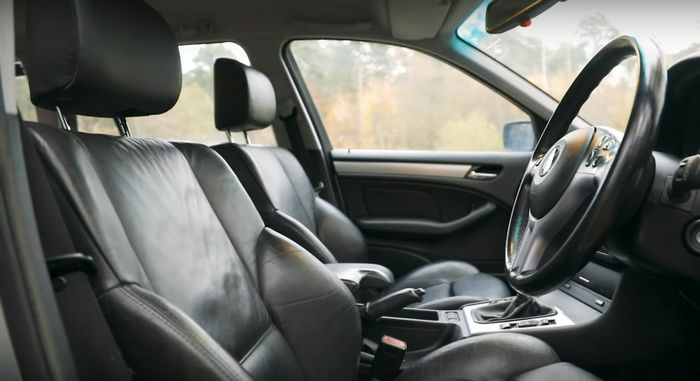 Firstly, the thermostat was stuck open meaning that the engine was constantly being cooled and never reached optimum operating temperature. I bought a replacement for £27 and fitted it while on holiday in Wales, even reusing the coolant that was in the radiator because it looked brand new. The second issue I had was an engine light that came on at the beginning of my four-hour journey back from Wales. But without any diagnostics equipment, I just carried on and convinced myself that an O2 sensor was probably dead. Needless to say, the car made it back fine, averaging over 41mpg at 70mph. After fitting the diagnostics box, it turned out to be a catalytic converter fault. So, I cleared the code and it’s since come back, but I’m in no rush to fix it. E46s have a habit of snapping rear springs at the bottom of the coils, and judging by the way this car is sitting, I’d guess the same’s happened here. I think my best bet, then, is to swap them out for some lowering springs) all round which will also make the car handle better. As for suspension bushes, there’s a bit of wear and play, but that’s to be expected. Inside, you would not believe that this car has done the equivalent of seven laps around the world. The dashboard and door cards are in good condition, the steering wheel and gear lever look new, and the front seats…well, I actually stole these from the 330d track car, but the originals are unblemished too! The straight six is quiet, responsive, economical and idles perfectly. The throttle response on the other hand is a bit hesitant which will be an VANOS issue, but you can get rebuild kits for around £80 and replace the seals in a day. I’m not in a hurry to get it fixed, though. The gearbox itself is strong, but the shift mechanism is worn, meaning that the lever doesn’t spring back when in neutral. It was annoying at first, but I’m used to it now. The brake pads and discs are pretty new, but the fluid needs replacing because the pedal feel is a little spongy and the engine wants a service too, but overall, the 330 pulls well, handles nicely and is ultra reliable. And finally - the steering, which is…OK, but over 170,000 miles takes its toll on components, so I might look into buying a thicker anti-roll bar) and getting the bushes replaced - these things made a massive difference to our 330d track car, so well worth investing in. I’m also tempted to get a nice stainless backbox, so if you’ve got any good suggestions, let me know in the comments! So there you have it. My £140 BMW is by no means perfect, but it runs amazingly well, is the perfect daily for me and will be a fun project to mess around with, starting with, I’m thinking, cutting out all this rust and bolting on some arches. Then I’ll need spacers, nicer wheels, a new exhaust…Oh, God, what have I let myself in to?